Dr. Jennifer Zane has known she wanted to be a chiropractor since she was a teenager. Her Bachelor’s in Sports Sciences and Certification as a Massage Therapist inform her practice as a chiropractor. She received her Doctorate of Chiropractic degree from Parker College in 2012. Her techniques include Webster (certified), diversified, Thompson (drop table), Activator, Impulse IQ, extensive training with International Chiropractic Pediatric Association and non-force work, including SOT and cranial work. Her compassionate and intuitive nature is amplified by her continuous training in a variety of methods, including certifications in energy work. Dr. Zane’s style is perfect for those in need of gentle, specific and expert care. She takes her time to get to know each body and understand the person it comes with so that she can help you set appropriate expectations and create effective change with each treatment. Her approach encourages increased function and decreased pain, specific to each unique individual. 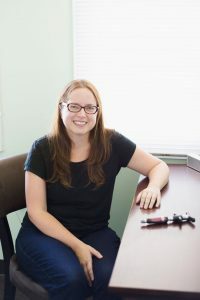 She has experience with children, infants, pregnant women, athletes, people with chronic pain, joint replacements, disc disease, hypermobility disorders and so much more. You can schedule an appointment with Dr. Zane here.